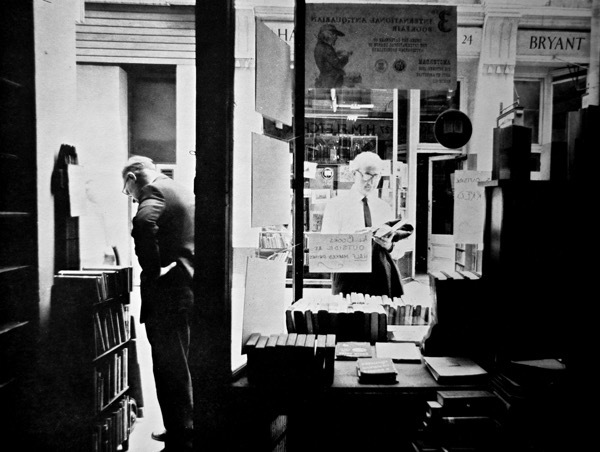 When Mike Henbrey reminisced for me about his time working at Sawyer Antiquarian Booksellers in Grafton St and showed me these evocative photographs of London’s secondhand bookshops taken in 1971 by Richard Brown, it made me realise how much I miss them all now that they have mostly vanished from the streets. After I left college and came to London, I rented a small windowless room in a basement off the Portobello Rd and I spent a lot of time trudging the streets. I believed the city was mine and I used to plan my walks of exploration around the capital by visiting all the old bookshops. 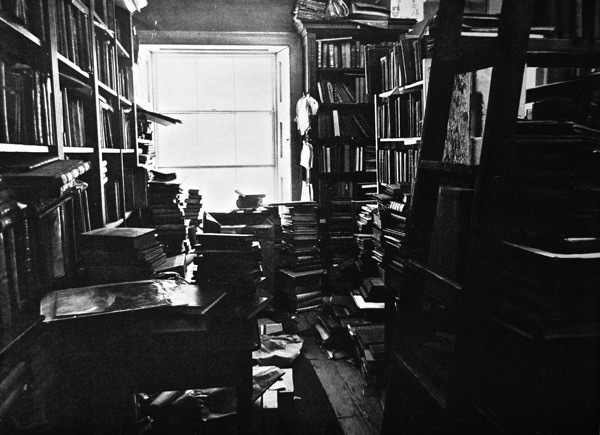 They were such havens of peace from the clamour of the streets that I wished I could retreat from the world and move into one, setting up a hidden bedroom to sleep between the shelves and read all day in secret. 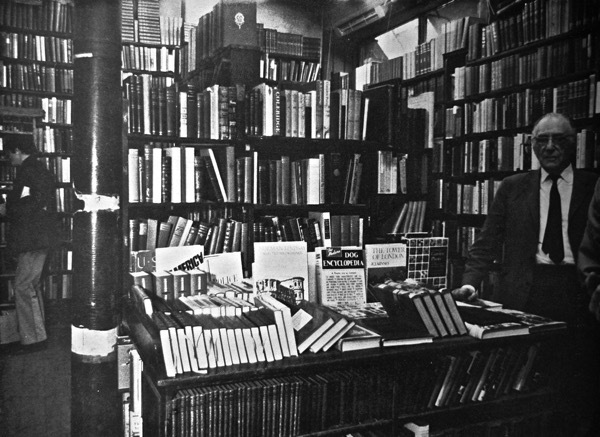 Frustrated by my pitiful lack of income, it was not long before I began carrying boxes of my textbooks to bookshops in the Charing Cross Rd and swapping them for a few banknotes that would give me a night at the theatre or some other treat. I recall the wrench of guilt when I first sold books off my shelves but I found I was more than compensated by the joy of the experiences that were granted to me in exchange. 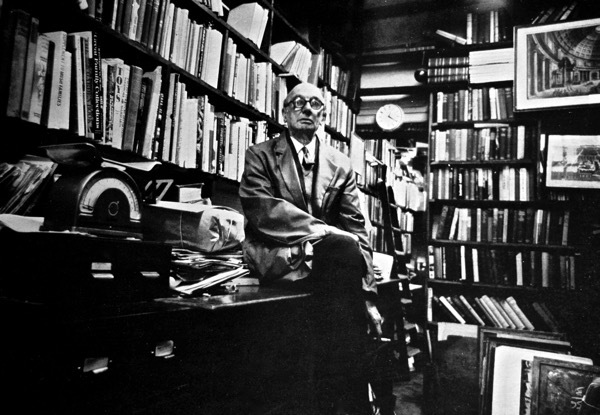 Inevitably, I soon began acquiring more books that I discovered in these shops and, on occasion, making deals that gave me a little cash and a single volume from the shelves in return for a box of my own books. 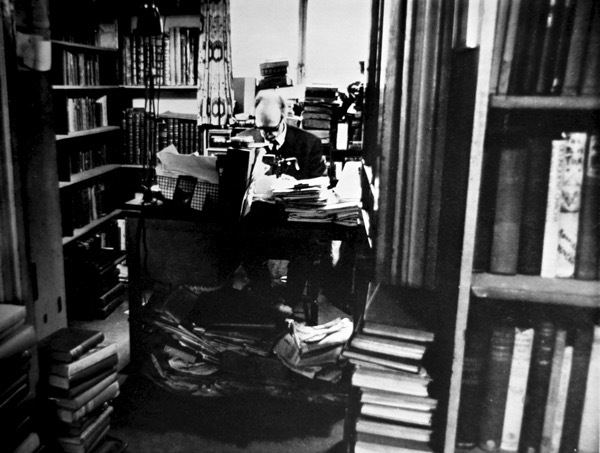 In this way, I obtained some early Hogarth Press titles and a first edition of To The Lighthouse with a sticker in the back revealing that it had been bought new at Shakespeare & Co in Paris. How I would like to have been there in 1927 to make that purchase myself. Once, I opened a two volume copy of Tristram Shandy and realised it was an eighteenth century edition rebound in nineteenth century bindings, which accounted for the low price of eighteen pounds. Yet even this sum was beyond my means at the time. So I took the pair of volumes and concealed them at the back of the shelf hidden behind the other books and vowed to return. 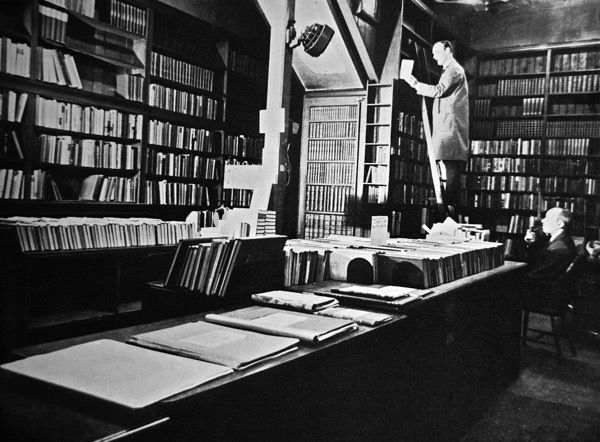 More than six months later, I earned an advance for a piece of writing and – to my delight when I came back – I discovered the books were still there where I had hidden them. No question about the price was raised at the desk and I have those eighteenth century volumes of Tristram Shandy with me today. Copies of a favourite book, rendered more precious by the way I obtained them and now a souvenir of those dusty old secondhand bookshops that were once my landmarks to navigate around the city. Very nostalgic and evocative of another part of vanishing London. 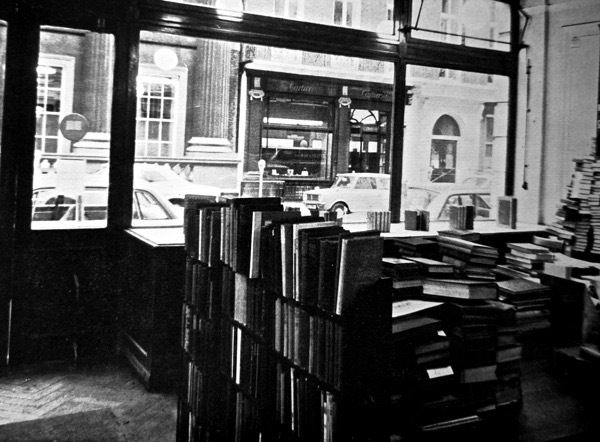 I too used to love those bookshops and discovered them when I studied in London in the late 1980s. I’m glad you were able to reclaim some of your treasured books and still have them to this day. 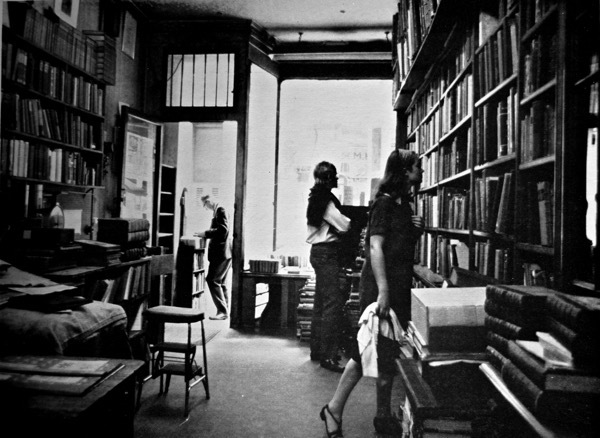 The dusty romantism of old book shops. These heartbreaking photos are a montage of my own life and memories and seeing them together only brings home more acutely how much we have lost. E-books…hah. Oxfam do a wonderful job of presenting and selling older – used – second-hand books – and yes some are what you would call antiquarian. 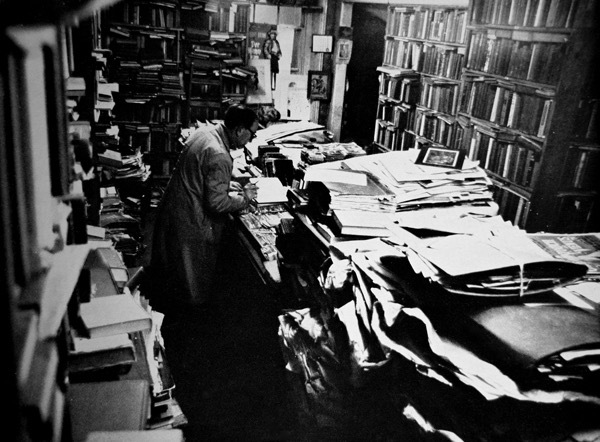 There is also a wonderful man that has endless lovely old books which I have bought many of over years and he is located near the stables by Chalk Farm, part of the Camden market. Over and above this, many of the antique shops have a selection of books. What you are portraying here – is from a different era and that era is long gone. But despite the whole ebooks phenomenon – the bound paper book will never leave us. No one can effectively display an ebook on a lovely set of oak bookshelves now can they? All gone now and so taken for granted by me in the 70′s and 80′s. Mr Page of Page Books (Coptic Street then round the corner in Museum street by the BM) was a lovely chap. Used to pay me a little extra for my offerings if he’d just made a good sale. And his cat would sleep on the books and suddenly appear from between the shelves. Happy days. Lots and lots of memory lanes in a sadly lost world. 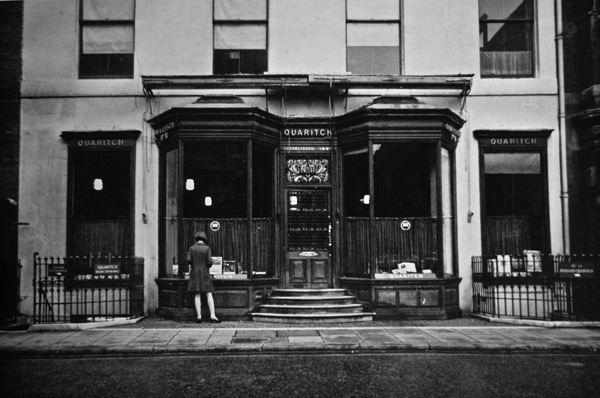 I wonder if there is a photographic record of the outdoor book sellers between Mount Pleasant and the western edge of Smithfield amongst whom Ian Sinclair flourished. There were treasures and a lot of tacky dross too. Lovely photos. That there is hardly a woman in sight must be significant. 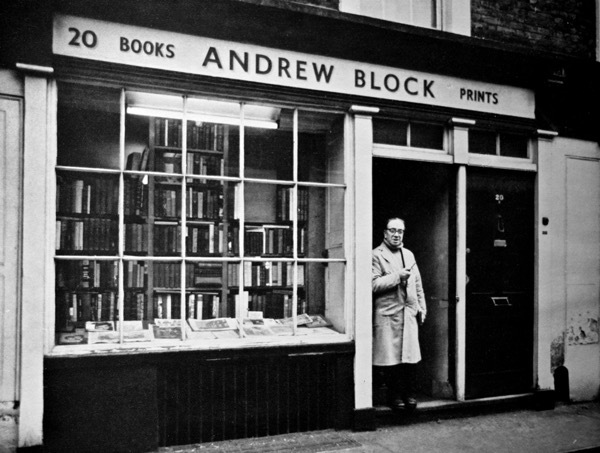 A few times I spent my pocket money at Andrew Block but I can’t remember what it was that he stocked that I could afford – old newspapers maybe. Are there second-hand* bookshops in London now? Can such places afford the rates (or whatever charges are exacted)? 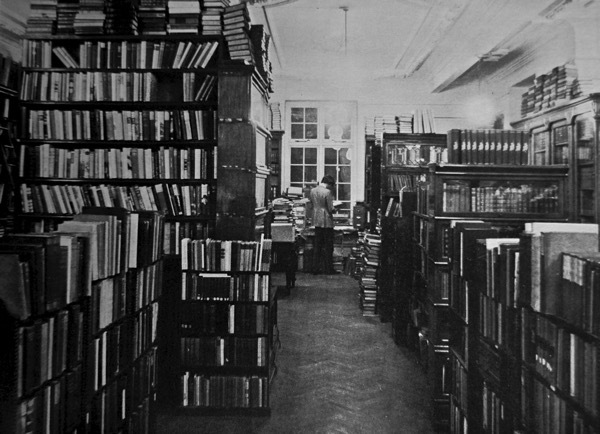 Those bookshops you showed looked vast places – more like Emporia. The kind of places developers love to buy up and convert into multitudes of miniscule flats! *Sorry, Antiquarian. I suppose there will always be a market for a certain kind of ‘pre-owned’ book. 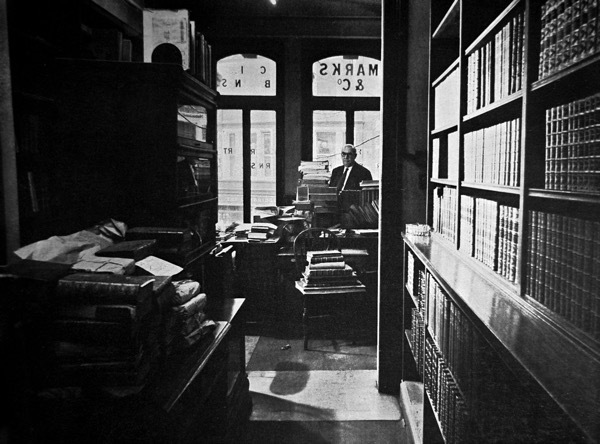 When I arrived from small town America in the early 1960s, I was enchanted by and addicted to these wonderful old bookshops. I’ve lived here ever since, and collected real books galore. There is no chance of me ever reading an ebook, either! Well, yes, those are the paradise places! 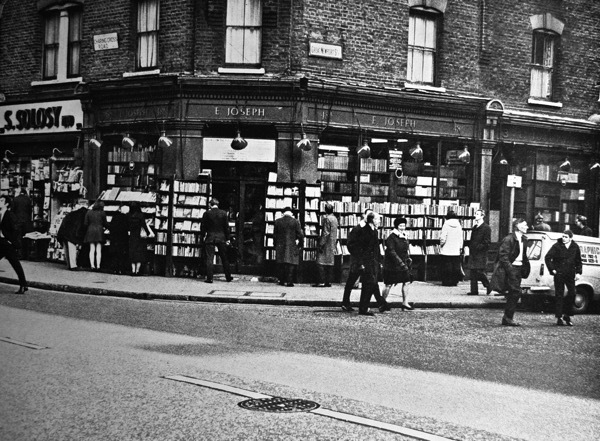 When I first came to England my early walks were to the Secondhand Bookshops, which were (and are!) to find in every small village, but certainly in London too. 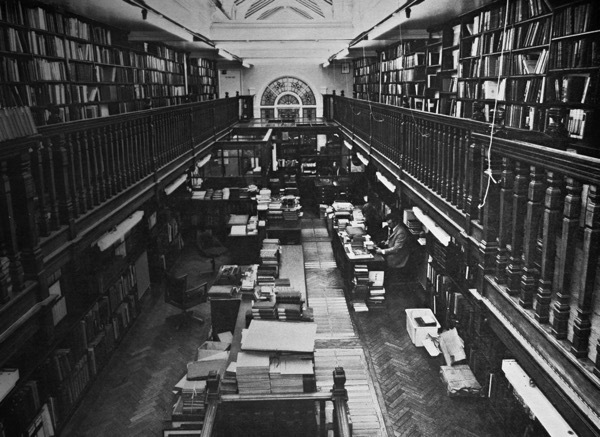 I found treasures here: British literary rarities, many old “National Geographics” from the 40s to the 50s, early editions of A. 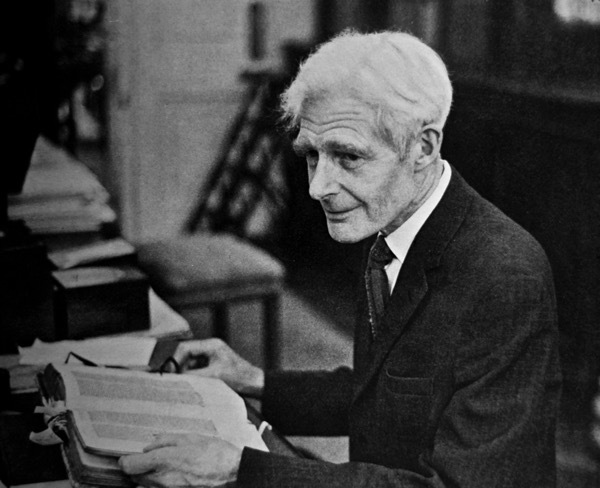 A. Milne’s Children’s Books a.m.m. — I love the “landscapes” of the shops, inwards also as outdoors. The fantastic photographs show these situations. An extraordinary experience for me was the visit to the small community of Hay-on-Wye in Wales in 1999 … I want to return as soon as possible here before they disappear forever!! What they won’t do, will they? Can nostalgia get more poignant than this? 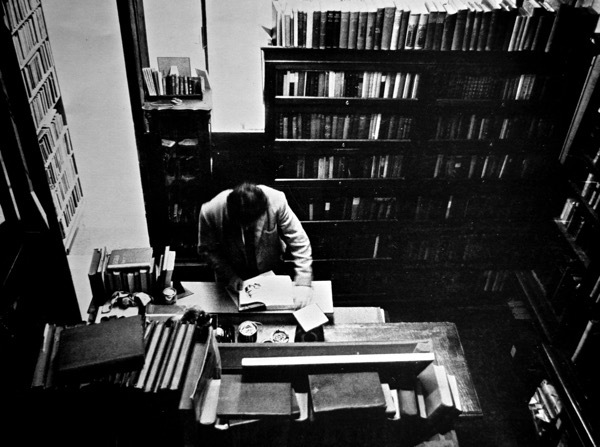 When I discovered the Cecil Court and Charing Cross bookshops when I was 13, I thought it was like being in paradise. I still have many of the books I bought there over the years. I was so lucky to live in London and able to go often. Thank you so much for posting these photographs. But it’s sad that so many have closed. This has made my day and you will be pleased to hear that my bookshop has experienced no drop off in interest in books by young people nor by traditional book collectors, we have had, and still do have, people from all walks of life as customers, from a dustman to an earl. One of the most interesting was the Rev Ian Paisley who was accompanied by an armed guard who stood between Mr Paisley and the door the whole time whilst Mrs Paisley got down onto the floor to make a fuss of our springer spaniel who used to sit beside me at the desk. We found them very friendly and delightful to talk to, and Mr Paisley was very quiet!! Being a second-hand bookseller is a way of life and you are not the only one to hide books until such time as you are able to afford them GA, other people have been known to do that!! We meet people from all over the world, and it is such a pleasure to talk to them all, at the moment I have a lovely young girl from China who is practising her English on me each time that she buys a few books. I enjoy it so much, and people are thrilled to bits to find a secondhand bookshop in the best street in our town of Colchester; some have actually said that they are going bring their bed and they know exactly which room they want to move it into. The most frequent expression that they use is that our premises, dating back to about 1450, are an oasis, and that really pleases us. 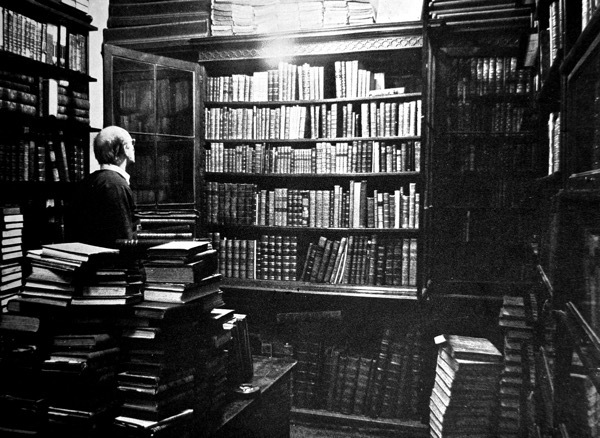 I do hope that our books do not smell musty, although so many customers do say that they like the smell of books, sadly one of the downsides of being a bookseller is that you do not notice it yourself. The worst thing is a book which smells of nicotine and we always refuse to buy these as there is no way of removing the smell of tobacco from a book. Deciding that he wanted to be a bookseller, 32 years ago, was the best decision that my late husband ever made (apart from marrying me of course), and our son is now equally dedicated to this way of life. 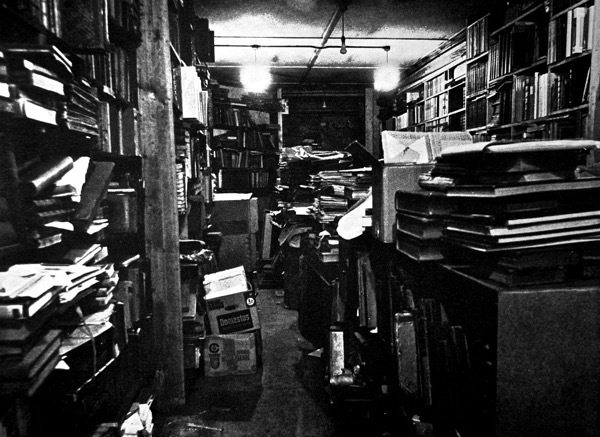 Thank you GA for your words and for the photos, I am pleased to see the state of untidness in most of the premises, customers do like a bit of chaos, and the thing that they really hate is a KUTI bookseller, one who keeps up the image!! Nick: Maggs is still there, ghost and all I believe!! I got a bit misty-eyed looking at these photos. If only I had a TARDIS. Sigh. 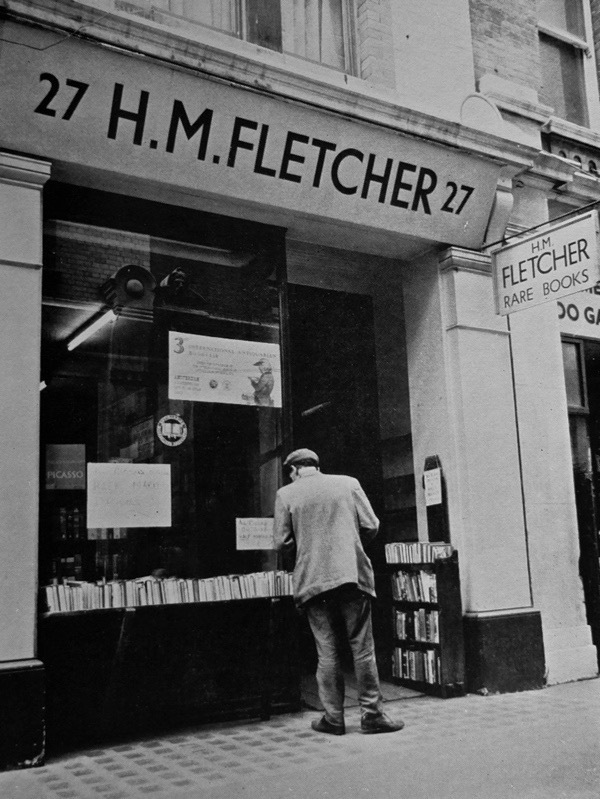 When I moved from Amsterdam to London in 1984, I started working for the book publishers around Charing Cross Road. I quickly found my way to Cecil Court, where I bought many of the fantastic books on printing and marvelous type specimen, that still sit on my shelves. What a feast it was to walk home after a day’s work and to take Leicester Square tube station instead of Oxford Street, just to be able to walk past Zwemmer’s, Shipley etc and to check out the shopwindows. Bygone days I’m afraid! We were in Cecil Court today, and there’s still some interesting stuff down there, worth a look if you’re near Charing X rd..! Yes, Bronchitikat there are still a few on the Charing Cross Road and at Cecil Court. 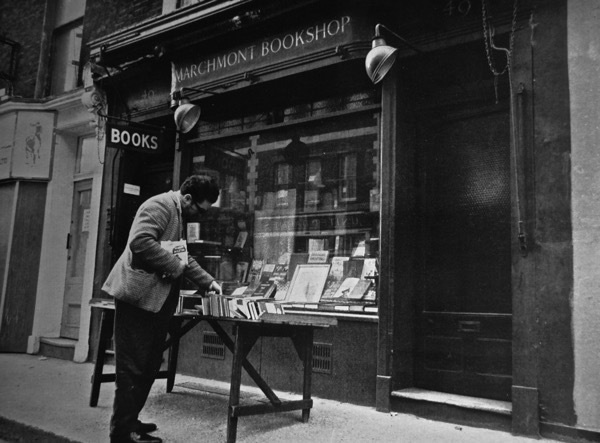 No one has mentioned 84 Charing Cross Road so I will http://www.84charingcrossroad.co.uk/ Both the book and the film are worth seeking out, for a touching insight into bygone book days, including when whole libraries were bought to feed the supply of these shops. 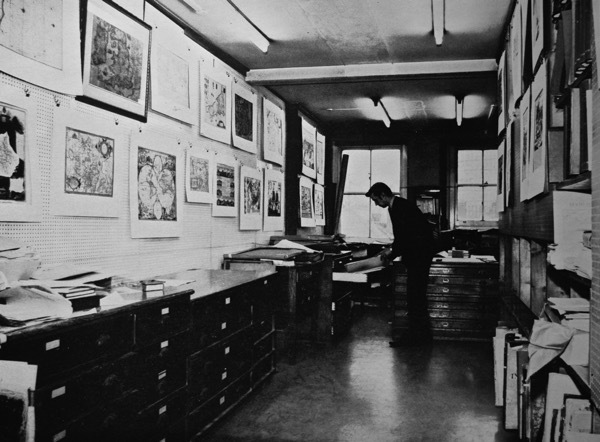 When we sold my Father’s pile to dealers in Hay on Wye, we learnt that they could end up distributed to Europe and the Charing X Rd from there. Thanks very much for the interesting post, and comments. If anyone wants to read further, I recommend ‘Out of print & into profit : a history of the rare and secondhand book trade in Britain in the 20th century’, edited by Giles Mandelbrote (London: British Library, 2006). The book is out of print now but copies are available (appropriately) on the secondhand market. 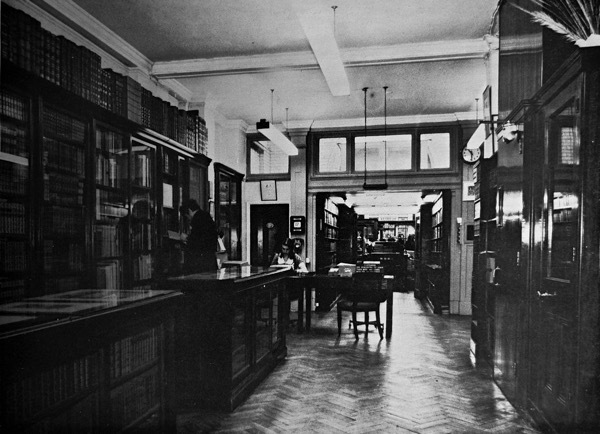 It was published to mark the centenary of the Antiquarian Booksellers’ Association, which is very much alive and kicking. I have so much enjoyed this post and the comments it has provoked, especially the more positive ones which suggest that secondhand bookshops are still alive and kicking. 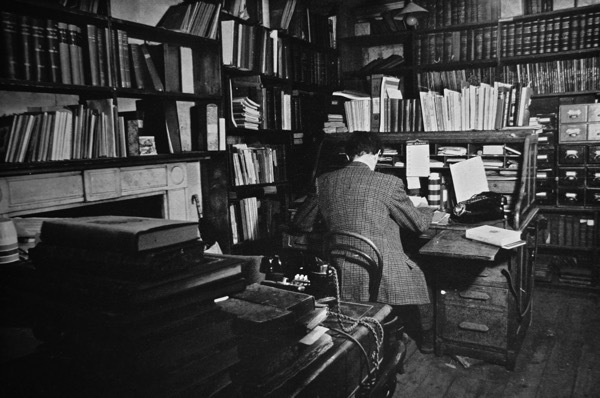 I used to go to Shakespeare and Co. in Paris many years ago and loved the nooks and crannies where you could lie down in comfort and read a book. I loved the bouquinistes by the River as well; you could buy 18th century books, fables and all sorts of things. I don’t know whether anybody enjoys such things any more, as I don’t suppose they were in very good condition and all I cared about was the lovely old printing, the engravings and the content. I believe that now ‘condition is all’, but I still consider myself lucky to have found things that dated from the time of the Enlightenment and the Encyclopedistes, even though no Collector would want them among his/her elegant volumes. It was a good moment to be young and in Paris. 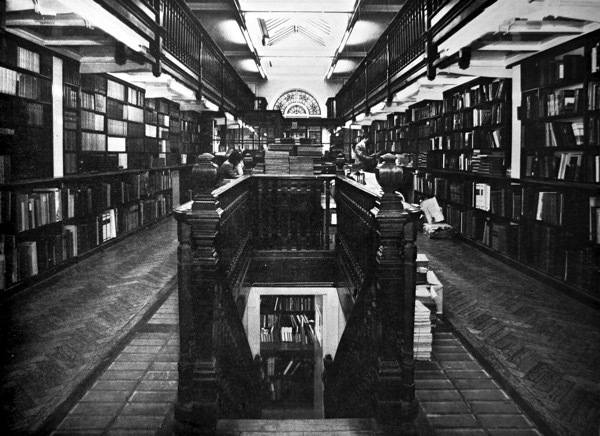 all origional wood panels and secret stairways leading to rooms full of every type of book ever made, all full of life and full of character ‘Dickens’ would have used some of them. Mostly all gone now, smashed away into glass panelled coffee bars & plastic souvenir stalls. I am suprised the National Trust or the English Heritage did not take over at least of the shops – what an absolute waste. Of course many had to close because of ‘too high Council Charges’. Charing Cross was the heart of Englands books, it is a disgrace. Once gone, never to be again. As much as it pains me to read about the closing of one bookshop after another here in the U. S., the rationale is clear: bookshops don’t (or, at best, barely) make money –which makes them virtually unAmerican. It pains me even more, however, to think of this sorry state of affairs in the U. K.
When I was once a student on the Continent for the better part of a decade, I’d travel occasionally to London (and elsewhere in the U. K.) in order to — among other treats — load up on English-language books. I can get plenty of shiny new glitz here in NYC — and now, apparently, also in London. 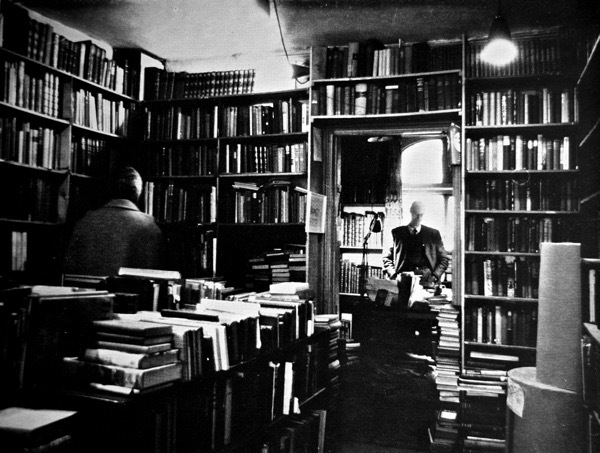 But nothing will replace the second-hand bookshops of NYC (e.g., Gotham’s) or the antiquarian bookstores of London. Nothing. My favourite place to browse outside of London was Peter Eaton’s country mansion called Lilies near Aylesbury. 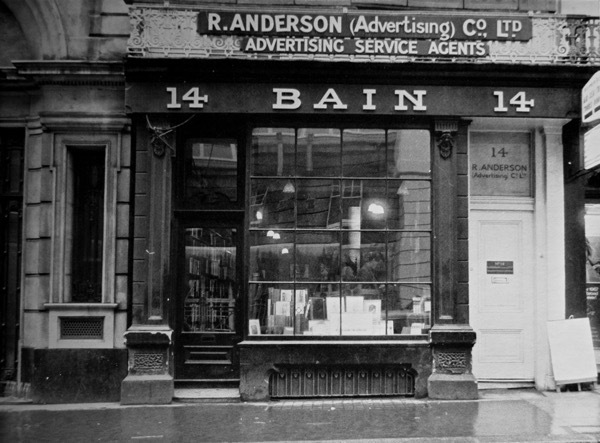 It was not a shop and you had to ring to make an appointment but it was full of inexpensive books and ephemera, some still priced pre-decimal even in 1980. What may have been expensive at 30 shillings in the 1960s was cheap at 1.50 ten plus years later. Countless huge rooms on 3 levels and you were left alone to wander anywhere. I was often the only customer there on a Saturday morning and spent as much time looking at the furniture, paintings, ornaments, etc. as the books. There was always a cup of coffee on offer too. 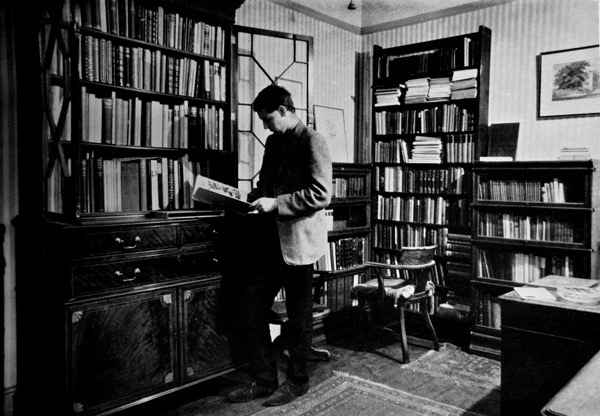 He had a cabinet of curiosities which was full of the weird and wonderful. One rang a bell to attract the attention of an assistant from the depths of somewhere in order to pay. 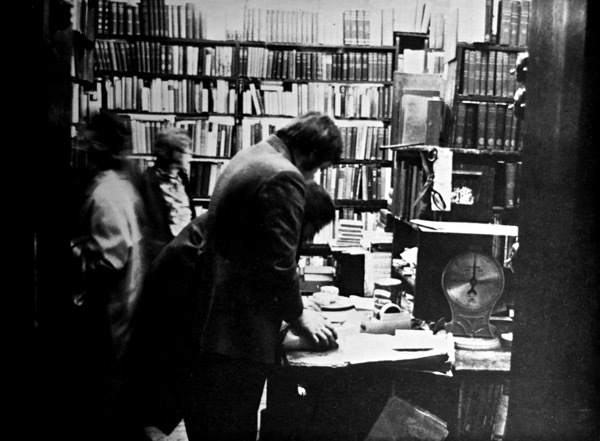 “The London Bookshop” in 2 separate volumes (1971 & 1977) and “English Country Bookshops” in 2010. I also love reading about the history and characters of the book trade and the tome mentioned in another response above ‘Out of print & into profit’ contains an extensive bibliography of interesting works. For example O.F. 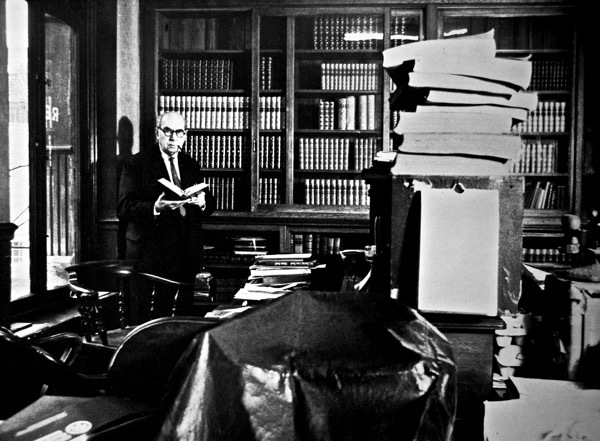 Snelling’s ‘Rare Books and Rarer People’ offers an insight into the book auction salerooms of the 1950s – 1970s. OK time to get back to reality. Wonderful to see the photographs, particularly of Andrew Block. 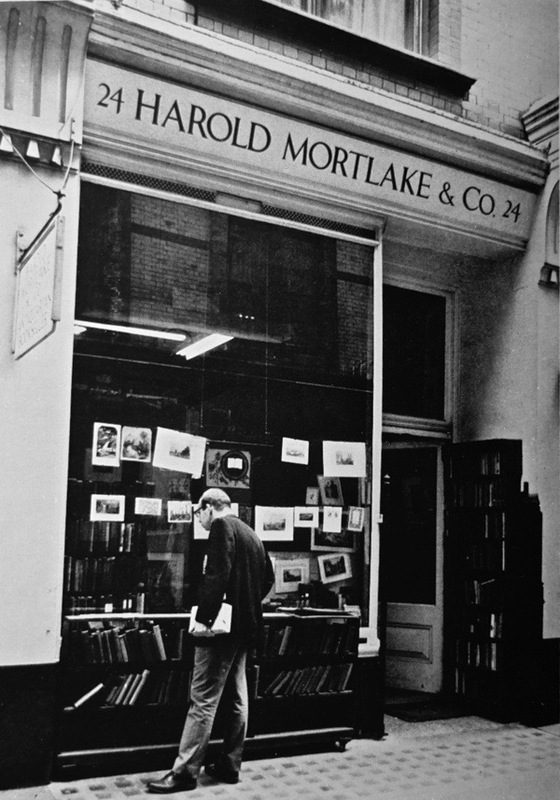 I visited his shop in the late 1970s on a quest for ‘anything Wodehouse’ (and cheap, money was tight). Despite his age Andrew disappeared into the cellar and came back with a Programme from The Empire Theatre in 1914 which included the revue by P G Wodehouse and C H Bovill, still a prized possession. When I returned the premises were being demolished but I recall there was a lengthy obituary in The Times following the death of Mr Block. Sadly Cecil Court has not been the same for me following the tragically early death of Nigel Williams. 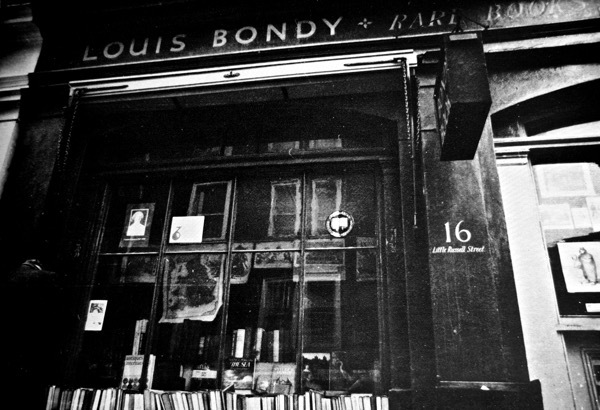 To have been able to visit these bookshops in their heyday was one of life’s treats. Hiow lovely to read about a fresh, new bookshop opening. We celebrated our 96th birthday yesterday and served tea and cake to customers who all seemed to leave with a new friend as they had something in common already. There was quite a bit of gentle rivalry for who had been coming here the longest! I think the first photo you have used is of Andrew Block at work. 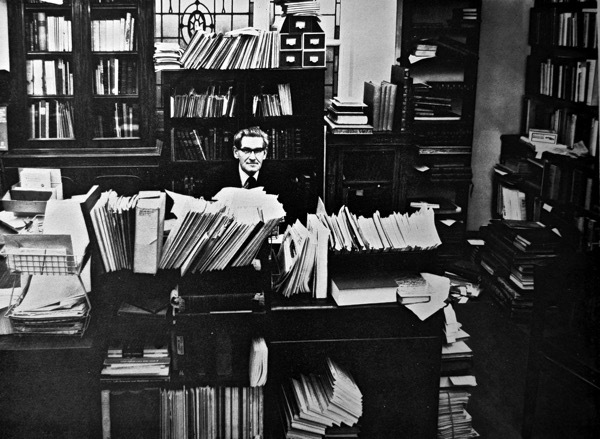 He had a very distinctive filing system of slips of paper in shallow cardboard trays. He had a sweet but rather mannish assistant who rather scared me when I was young. I can’t remember her name I’m sorry to say. The black and white photos are wonderful and have reminded me of how things have evolved. We now have a 360 degree panorama of Atlantis that is viewable froma mobile phone anywhere in the world. I expect that is already quaint in some circles! Thank you for sharing the priceless memories and wonderful photos. Just another treasure. 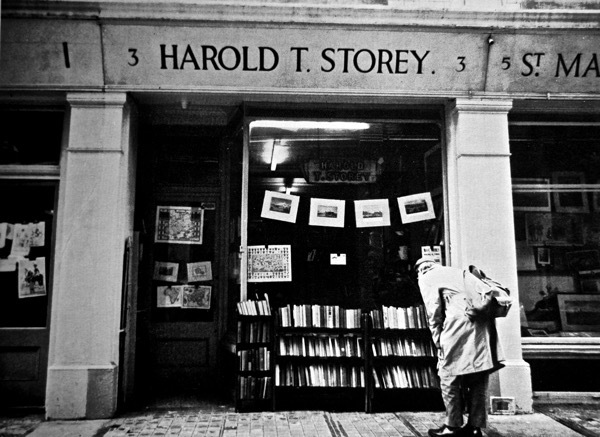 I am trying to remember the name of the small children’s book shop in London that I visited several times in the 1980s. 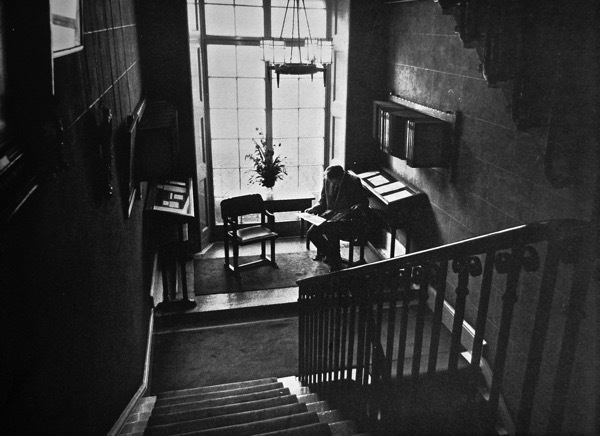 It was Dickensian with the elderly proprietor behind a desk on a high dais and books in a delightful jumble. When I returned to London a few years later it was gone. Does anyone remember the name of the shop, the proprietor and/or the street address?